Foundation can be both good and bad; it all depends on the formula and the ingredients it contains. 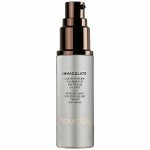 If you select the right formula, it provides excellent coverage and hides facial imperfections. 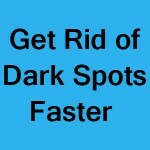 If you select the wrong formula, then it may cause skin irritation. The purpose of this article is to help you select the best foundation for sensitive skin. 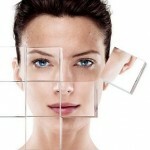 If you have normal skin, go here to find the top liquid foundation that you may find beneficial. Let’s now look at some of the best foundations available for sensitive skin. 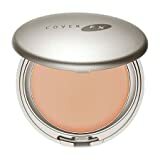 Cover FX is the first brand that comes to mind when dealing with sensitive skin. 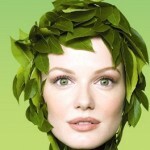 Cover FX products are made specifically for sensitive (non-comedogenic) skin types. The aim of their formulas is to improve your skin tone over time, cater all types of skins, and prevent the use of inflammatory ingredients which irritate skin. Their products include vitamins, emollients, redness reducers, and are free of parabens, fragrances, gluten, talc and mineral oil. They don’t contain the bad ingredients we talked about earlier. 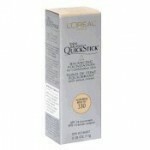 It is one of their most popular foundations that I have used in the past. It is excellent! 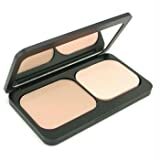 Comes in more than 30 shades and can be used as either a concealer or foundation. It contains anti-aging benefits, provides medium to full coverage, provides protection from sun (SPF 30), and most importantly, doesn’t contain the “bad” ingredients that cause irritation. It is a perfect foundation for individuals with sensitive skin! It is excellent for those individuals who have oily skin. This foundation is talc-free, available in 24 shades, provides sheer to full coverage with matte finish, moisturises skin, absorbs oil throughout the day, and doesn’t dry on skin (no cakey appearance). Once again, it doesn’t contain the irritants and is perfect for sensitive skin. Here’s another foundation that’s really good for oily skin. Perfect for those individuals who have sensitive and dry skin. People with dry skin need a foundation that provides moisture and doesn’t contain the irritants. 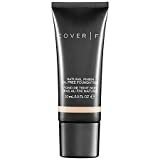 This foundation does that job; it provides the moisture that is needed and doesn’t contain the “bad” ingredients. It also contains vitamins with anti-aging effects. Youngblood has its roots in dermatology and plastic surgery; no doubt these products are of high quality. These products were developed specifically for individuals suffering from inflamed or discoloured skin. Youngblood formulas contain all the healthy ingredients and avoid all the “bad” ones. Minerals help you build maximum coverage and at the same time remain “no-weight” on your skin. They are so light; you won’t even feel it on your face! If you want naturally flawless looking skin, then this is the foundation you want. It is made up of minerals into an ultra-fine powder that dispenses precisely from the container for application. 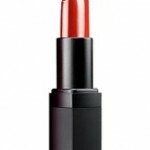 It provides buildable coverage without any glitter or shimmer. Do you have dry and sensitive skin? If your answer was yes, then this is the foundation you want. This foundation is irritants free and provides adequate moisturizer you need. It contains a special hydrating complex that keeps your skin moisturized and healthy looking. 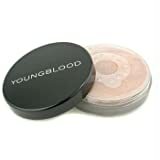 Another benefit of Youngblood liquid mineral foundation is that it doesn’t clog pores, and remain on skin for hours. Again, Youngblood products are safe, healthy and excellent for sensitive skins. 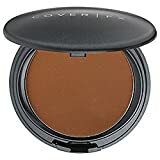 This pressed mineral foundation is perfect for those individuals who have oily skin. It has excellent concealing and oil-controlling properties. Application results in matte finish, and can be applied over liquid or loose foundation. This is one foundation that caters all types of skins. It is suitable for any skin types and does not contain chemicals which cause skin irritation. One thing that I love about this product is the price. It is cheap! And it provides anti-aging benefits, excellent for sensitive skin, has SPF 14, and has hydrating ingredients. It is one of my favourites. It contains all the good stuff found in Breakthrough Performance Foundation, but it is designed specifically for oily skins. It contains ingredients that absorb excess oils, and keep your skin looking fresher and radiant throughout the day. 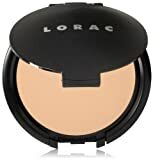 For those of you who are not a huge fan of liquid foundations, this is a good powder foundation for all skin types. It contains oil and fragrance-free formula that has the ability to absorb excess oil if needed. It provides sheer to full coverage, and contains a whole bunch of vitamins to soothe out your skin. People with sensitive skin are more prone to redness, itching, acne, and even eczema in some cases. If you experience any of these symptoms after applying a specific foundation, you should stop using that product immediately. 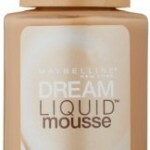 Look for a liquid foundation formula that contains less reactive chemicals. A good foundation for sensitive is the one that doesn’t contain oils, fragrances, parabens, glutens, and doesn’t clog your pores. Before purchasing a foundation, scan the list of ingredients and avoid if it contains any irritants. Here’s a list of things you DON’T want in the ingredient list. Fragrance (even if it’s just a tiny amount), cinnamates or methylcinnamate, lanolin, mineral oil, sorbic acid, and helioplex. If your foundation contains any of these, avoid! There you have it guys. The brands and their specific products listed above are well known for the types of skins they cater. Using the information found in this article, I hope you find your best foundation for sensitive skin.